RealCDP certification, a five point checklist of core capabilities needed to build a unified, sharable customer database. AMSTERDAM, 15-Nov-2018 — /EPR INTERNET NEWS/ — Marketeers hebben vandaag de dag meer data tot hun beschikking dan ooit, maar worstelen om ze te combineren tot een bruikbare vorm. Customer Data Platform (CDP) technologie belooft dit probleem op te lossen in de vorm van makkelijk te implementeren systemen, die alle klantdata combineren en delen. Maar de vraag die marketeers, IT’ers en executives zich terecht stellen is: kan een CDP echt die beloften waarmaken? Op 23 januari 2019 hosten het Customer Data Platform Institute (CDPI) en Squadra Group de intensieve marketing workshop, “Making the Most of Customer Data Platforms,” om die vraag te beantwoorden en deelnemers mee te nemen in een deep dive in deze, zich zeer snel ontwikkelende, martech sector, die begin 2019 naar verwachting de €200 miljoen omzet in Europa zal overtreffen. De workshop zal plaatsvinden in Seats to Meet Utrecht CS (Hoog Catharijne) van 12.00 uur tot 18.00 uur en zal geleid worden door David M. Raab, oprichter en CEO van het internationaal opererende Customer Data Platform Institute. De dag erna zal hij ook een keynote presentatie verzorgen tijdens de DDMA Data Dag over de staat van de CDP markt wereldwijd en in Europa. COPENHAGEN, 01-Aug-2018 — /EPR INTERNET NEWS/ — Mono Solutions is proud to announce a new partnership with the leading provider of digital services for small businesses in Spain, PA DIGITAL. The partnership allows PA Digital to deliver modern websites and additional digital marketing services to small- and medium-sized businesses (SMBs) across all of Spain. PA DIGITAL has chosen the Mono Platform for its superior technology in building high-quality websites as well as its commitment to partner success. With more than fifty years of experience in serving small businesses, PA DIGITAL’s strategic focus is to provide simple and efficient solutions to help Spanish SMBs successfully digitize their business. With existing offerings of website creation and maintenance, PA DIGITAL was on the search for a new technology platform to help them deliver more modern digital services in the most efficient and cost-effective manner. “As we were looking for a new platform to support our website business, it was important to us to find a platform that allowed us to build at scale, offer best-in-class technical performance on our SMB customers’ websites and help us expand the digital offering to our clients with additional functionality over time. After engaging with Mono and testing their Software-as-a-Service platform, we were thrilled to see that they not only offered superior technology, meeting our requirements, but also confirmed that they will be a true partner in growing our business” says Paul Geldart, COO of PA DIGITAL. Designed for large-scale website fulfillment, the Mono Platform meets the highest technical standards, including W3C compliance, lightning-fast performance and meticulous optimization for traditional, local and voice search with schema.org-friendly structured data. In addition, PA Digital will also benefit from Mono’s integration with Yext’s leading digital knowledge management solution for even faster go-to-market. The integration drives powerful automatic initial website production and keeps small business’ data consistent across the web. New, more modern websites are not the only way to prevent churn. It was important to PA Digital to find a platform that would enable them to offer increased value to their customers. With fully-native e-commerce, CRM and customer engagement features, the Mono Platform enables PA DIGITAL to offer true ROI-driven services to their SMB customers. 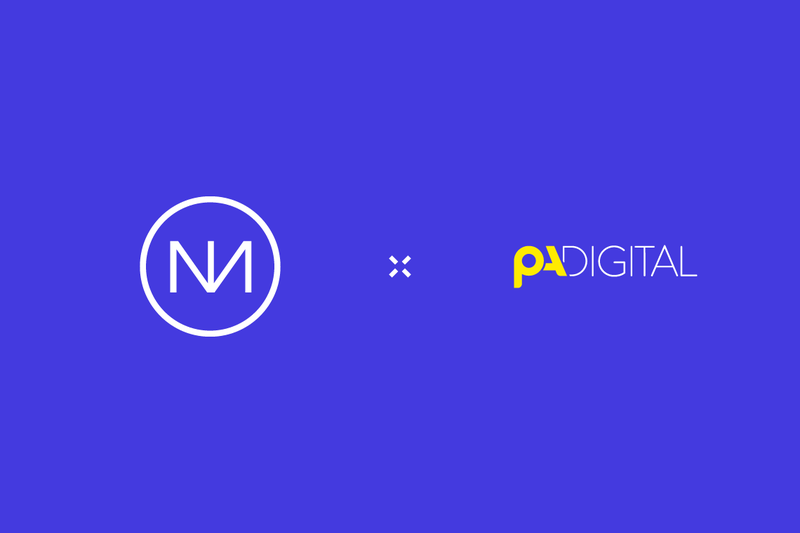 “With a focus on selling websites to their established base of SMB customers, combined with their vision for providing additional digital services around the website, PA DIGITAL is a perfect partner for Mono. PA DIGITAL is our first partner in Spain and we look forward to helping them leverage our technology platform to deliver modern digital presence solutions to thousands of small businesses across Spain.” says Louise Lachmann, CEO at Mono Solutions. Self Storage Finders announced today year over year comparable sales increased 597%, exceeding company expectations. Self Storage Finders is one of a few online self storage directories experiencing staggering growth within the last several years. Comparing year over year sales for the month of October, the company has increased its sales by 597%. In comparing year over year clients, they have also increased their Preferred Membership 318%. “Our directory is unique, effective and irreplaceable in many cities where the competition is too fierce for storage facilities to be able to manage their SEO and rank their own websites.” The system is ideal for storage owners and managers who need to concentrate on their day to day operations and do not have time to carry out the innovative marketing and SEO strategies Self Storage Finders can provide. The company insulates its Preferred Members from the everyday hassles of storage marketing. In addition, Selfstoragefinders.com works closely with its storage partners to ensure the highest customer satisfaction. An increase in sales and clients can be attributed to proper business plan execution, advanced marketing techniques and partnerships with highly respected companies in the industry. Mr. Barwig adds, “Self storage is becoming a highly aggressive industry and every owner needs a competitive advantage. Our Preferred Members are able to attract customers before their competitors do, expand their business and increase overall profits all for a minimal monthly fee. We are most proud we can provide solid traffic to owners, while keeping it easy on the budget.” Self Storage Finders has been able to dramatically increase their sales and clients all while keeping their monthly rates near lowest in the industry. Selfstoragefinders.com is committed to aiding customers in finding self storage locations quickly and easily by providing storage unit locations and contact information for facilities around the country. Prospective tenants can search through the Preferred Member listings and Neighboring Member listings on the site to find the best personal fit. The company offers unique opportunities to storage owners in addition to prospective renters. Selfstoragefinders.com generates exposure for its Preferred Members by offering premier visibility on major search engines connecting prospective renters to self storage owners. The Inc. 500 is a list of the top 500 high growth businesses. It is an entrepreneur’s dream to be on the list. Clickbooth ranked #5 overall and #1 in their business sector, which is advertising and marketing. In an economic climate where many businesses have been simply trying to survive, Clickbooth has grown an amazing 12,000% over the last four years. They have been doing it by providing consistently strong ROI for publishers and advertisers. It is a milestone for the advertising industry as whole, and marks the dawn of a new day for the future of marketing. The infamous dot-com bubble may have popped but there are still businesses using the Internet in innovative ways to enjoy high growth by providing exceptional customer value. Clickbooth’s industry revolves around a concept known as affiliate marketing. It is a marketing strategy that shares revenue among advertisers and affiliates online. affiliates are traditionally known as publishers and are considered the same in this context. The network affiliates at Clickbooth are among the best in the business. Some are among the Alexa Top 50 sites. The affiliates network together through Clickbooth to provide premier marketing campaigns for advertisers. The number of worldwide affiliates they use is over 10,000 and many of them are exclusive. The coverage is very broad and encapsulates a number of niche markets. The compensation is based on performance from one or a combination of sales, clicks, and registrations. Each affiliate is rigorously screened and monitored for performance and integrity. Much of Clickbooth’s success comes from their industry leading compliance team. Their function is to track uploads and downloads among other monitoring functions to ensure that the proper integrity is maintained. Any of the affiliates that are identified as abusing the system are promptly excommunicated. The result is a dependable set of affiliates that are networked together through Clickbooth to be reliable, trustworthy and maximize an advertiser’s time and money. Clickbooth is an internet marketing business created in September 2002. With their high integrity and high quality affiliates network, they leverage the power of the Internet for businesses looking to maximize their advertising budget. Clickbooth produces benefits for their network affiliates and their clients in need of advertising through a high level of integrity, a careful screening process, and an Internet marketing program that is mutually rewarding. CouponChief.com is setting a new standard in how one shops online. With the trend toward online shopping growing it is no wonder that more and more Internet merchants are offering special promotions and discounts with the use of special codes. This is in keeping with what consumers have come to expect of all merchants; special offers make shopping a more enticing experience. The development of a digital form of coupons was inevitable. And just like brick and mortar shops that offer coupon shopping, the online merchants have to have a way of distributing the coupons. CouponChief.com is the centralized, one-stop shop for these codes. The concept is both simple and ingenious. No sign up or log in is required and the entire use of the promotional coupons is free. However, by setting up an account an individual can receive alerts via email announcing new promotions and discounts offered by a favorite store. This is the ultimate in convenience for online customers. The process of using Online Coupons is not only easy and convenient; it is a great way to save money. Online shoppers have grown accustomed to seeing ‘coupon code’ and ‘promotion code’ fields during the checkout process at Internet shops. The problem has been that few people knew where to find those special savings codes. Fortunately, that is no longer a problem. The numerous Coupon codes available for online shopping have been collected in an organized and quick to access fashion. When shoppers visit ‘Coupon Chief’ before shopping they are sure to find useful Coupon Codes. Visitors to the site are happy to find that Online Coupons often offer a more substantial savings than the typical paper coupon does. But in order to offer all possible savings to its visitors, CouponChief.com also has a program called ‘Pays-2-Share’. The ‘Pays-2-Share’ program pays visitors for coupons that they find and add to the site. Once enrolled in the program an individual simply logins and submits new Coupon Codes for participating merchants. When a shopper uses the coupon payment is made to the person that submitted the promotional code. In fact, they earn 2% of the purchase price, which can be substantial in some cases. Surprisingly, this payment is made even on purchases made by the submitter. CouponChief.com was established to provide an easy way for individuals to find useful Online Coupons for the stores and products they need. The website has collected and organized the promotional codes in an easy to find format, making saving money on Internet purchases trouble-free. Additionally, the site offers a program called ‘Pays-2-Share’, which provides a money making opportunity through submitting coupons found. According to research from BT Business, supported by the Design Council and Prince’s Trust, small businesses at the forefront of technology adoption have been the least impacted by the recession, with those most reluctant to bring in new technology suffering the most. Companies with a positive attitude to technology adoption had a 69% better than average experience of the recession, whereas technology laggards suffered a 34% worse recession experience than the average. The survey was conducted by Vanson Bourne on behalf of BT Business and included responses from more than 7,200 small businesses across the UK. The 2009 Business Pulse report is the UK’s largest survey of SMEs this year. The survey shows widespread recognition of the importance of technology in reducing costs and increasing efficiency and competitiveness. 30% of businesses said that they have saved money through using technology, 32% use technology to network and obtain advice and 28% have found more customers through its use. Nearly one in five cited the use of technology to support flexible working as having one of the most significant impacts on how they have managed the recession. The Business Pulse survey identified the positive steps firms have taken to manage the downturn. Nearly twice as many technology innovators have seen an increase in turnover of 10+% compared to those small businesses reluctant to embrace new technology, the majority of which have seen their turnover decrease since the recession began. In terms of the technologies having the biggest impact, 61% said faster broadband speeds have had a positive impact on their business. Better web sites, better e-commerce and mobile devices were also particularly beneficial. More than 1 in 10 small businesses are looking for more advice and support on using technology to manage their business. Smaller organisations are also increasingly turning to social media to improve the way they operate with one in five respondents turning to support forums, Twitter and blogs to market their business and attract and retain customers. Full findings of the Business Pulse will be revealed in Small Business Week 2009 and debated by a business leadership panel including business experts Peter Jones and Lord Digby Jones at the launch. Tracesmart Corporate, data cleansing specialists and leading providers of consumer information services, have launched their new look corporate website. The redesign is not just skin-deep however, as it also includes an updated appearance to their intuitive online services, employed by a growing legion of operators to trace people and conduct identity checks. The redesign project was initiated following discussion with clients and prospects about site functionality. Following in-depth market research with staff, customers and potential clients, the company embarked on a strategic overhaul of their business website to reflect the requirements and observations made by visitors during the research. The new look website and service portal was developed to portray Tracesmart Corporate as a modern and progressive organisation with a more welcoming and easier to understand user interface. The Tracesmart Corporate website provides access to a variety of data intelligence services such as self-key consumer tracing, existence checks anti money-laundering and know your customer identity verification. Users of these services come from a broad and growing range of industries that include, amongst others, the financial sector, professional services and the media. Tracesmart, the online people search providers, have announced the addition of 100,000 rolling register updates for their tracing website. The new records will further assist customers when performing their online searches, delivering added accuracy to the Tracesmart facility. The new electoral roll data consists of individuals who have moved home or changed other details during the past month and have contacted their local authority to register their change of circumstance. The annual canvas of the UK population is undertaken during October every year, offering households the choice to opt out of the electoral roll if they wish. The option has given people the freedom to decide if their information is to be kept in the public domain, or only made available to those within local authority or credit reference agencies. The Tracesmart Register has 250,000 new record uploads every month, and the extra rolling register monthly additions bolster the websites positioning as the premium name search facility. “We pride ourselves on the information we hold, and invest in the most current data available to us. This provides our customers with the best possible chance of a successful address search to find relatives or friends,” said Owen Roberts, Tracesmart’s Communications Manager. Anyone who moves or changes their details is encouraged to contact their local authority or visit the website About My Vote to register or update their details. Tracesmart Corporate has been appointed by HSBC Actuaries and Consultants Limited (HACL) to provide their proprietary existence and tracing services. The facility will allow the verification of customer data against vital consumer information, including key UK mortality records; permitting the HSBC employee benefit consultancy to continuously and confidently monitor their client database in order to maintain contact with existing customers and highlight possible fraudulent activity. HACL is part of the HSBC Group and a market leader in the UK specialising in actuarial and employee benefits consultancy, providing opinion, advice and services to pension scheme trustees, employers and individuals. It has become one of the leading employee benefits and actuarial consultancies in the UK. Tracesmart, the Cardiff based data intelligence company, provides a comprehensive and unique facility to trace people, delivered by a team of in-house tracing agents, the service offers a tiered search solution to a growing number of companies. Tracesmart is also one of a small number of organisations to receive a weekly update of the UK Death Registration Information f r o m the General Register Office (GRO) to enhance its mortality screening facility. Approximately 12,000 deaths are recorded weekly in the UK, and this amassed information, combined with Tracesmart’s vast consumer database, drives the company’s proprietary service ‘Existence Alert’. The service is in essence a data cleansing process, which provides a continuous screening facility that identifies deceased individuals and ‘gone aways’ (people that move home without notifying a change of address) at the earliest possible moment, allowing appropriate action to be taken to minimise risk and combat escalating fraud such as the impersonation of the deceased. The Cardiff based people search specialists, Tracesmart, have won the South Wales Chamber of Commerce Excellence in eBusiness award for 2009. The award was presented to Tracesmart by the distinguished journalist and television personality, John Sergeant at a glittering ceremony and dinner to honour the best in Welsh business. The event was the culmination of the Chamber’s Business Week in Wales. Following 10 years of growth, investment and continued technical advancement, Tracesmart has developed one of the UK’s leading people tracing facilities. Utilising a range of consumer datasets, including the continuously updated electoral roll, the online resource delivers an intuitive tracing service to the general public. The web based facility offers, amongst a multitude of functions, an address search feature, affording consumers an easy to use resource to find relatives and friends. The facility has, over the years, helped reunite thousands of families and friends, whose stories have often attracted media attention. Tracesmart will now receive automatic entry to the British Chambers of Commerce national awards. The alliance will involve BT Business becoming a Google AdWords™ Authorised Reseller. Small businesses can now access Google’s base of millions of UK users and receive professional, full-service AdWords account management, from account setup and activation to ongoing campaign monitoring and optimisation, through BT Business. More than one million businesses already served by BT Business, including the 350,000 members of BT Tradespace, will benefit from the agreement. The addition of the Google AdWords online advertising platform means BT Business can now offer customers a complete range of digital marketing services to help them promote their businesses effectively on the Web. From setting up a website and managing an online marketing campaign to ensuring they can effectively extend their business relationships through customer management tools and business social networking profiles such as BT Tradespace and other business applications. BT Business understands the challenges that businesses face in the current climate, and supports cost control, improved productivity and winning business with technology including business broadband & internet, domain names and web hosting packages, IT support and mobile services including BlackBerry. People have been dealing with work from home, weight loss & fitness scams for years. With the internet the “Scam” industry multiplied by ten. You rarely ever see honesty when it comes to internet purchases. Risk Easy Reviews has been one of the few sites that are out there for the consumer. They claim to have success with some of the products they have tested. But they also have some negative claims & put that “do not buy” tag ON some as well. Bringing honesty to the industry. Risk Easy Reviews has reviewed many products from work from home, forex, health, fitness, weight loss, Warcraft, internet TV and more. They also have made it a point to only try products that come with a great money back guarantee. There are many review sites on the net that have another agenda. And although everybody has got to make a living, Risk Easy Reviews seems to really care what people are reading and knows that their credibility is at stake with each review. It’s good to see that some people can still take the initiative to help people. Helping people better their lives which in turn enhances the world we live in. The I Love This Person website gives people an easy way to create permanent online dedication web pages for their loved ones. This is the perfect present any time of year, or simply a happy surprise. Don’t just tell the person, tell the whole world! People can create a customized dedication page for any person they admire, respect, or love. Dedications are especially great for a family member or friend. Dedications can be anonymous, or the creator can display his or her name. Users can create an editable lifetime dedication web page, containing up to 100 photos, for only $19.95. Dedication web pages are visible to anyone searching the Internet. Users also can link dedications to social media websites, such as Facebook, MySpace, and Twitter, making them easy to share. New users can create a test dedication web page and view it without committing to pay for it. Once they are happy with the results, they can purchase their editable dedication for only $19.95. The I Love This Person website is available at www.ILoveThisPerson.com. The I Love this Person website is a service of Robipau. Robipau develops and promotes virtual products on the Internet that emphasize the good in humankind. Network. Network. Network. That’s what everybody is saying these days, but how? One solution is LipstickRocks.com, a networking organization for professional women that offers both an online community as well as regular networking events in Metro Washington, DC. LipstickRocks, LLC hosts regular theme events for business-savvy women to meet and empower each other and grow professionally. The virtual community on LipstickRocks.comis for professional women in multiple industries to connect and share information. The website is easy to navigate and offers search engine optimization, which is a powerful Internet marketing tool that boosts the user’s web presence. LipstickRocks.com‘s web presence is multiplied by new advertisements on twitter.com, facebook.com, and meetup.com. Regular meetings provide an opportunity for women to bring friends and co-workers to mingle with other professional women, most who are already on the LipstickRocks.com website. Women come to promote their business, glean from each other, and provide practical advice. Many m embers of LipstickRocks sponsor these networking events to strategically promote their businesses. Premium members of LipstickRocks enjoy other privileges including discounts on advertising, web design, hosting, member-to-member discounts, and consultations. Most sponsors and business partners actively give back to the community. A percentage of all purchases from LipstickRocks go to charities, such as the Susan G. Komen Global Race for the Cure for breast cancer research. The total amount contributed will be tallied up and displayed on the website at the end of the calendar year. A new website called Bizwiki.com has launched across the USA today, promising to change the way local search works by enabling its users to build up the most detailed and up-to-date index of business in the United States. In a break with traditional Yellow Pages websites, Bizwiki invites business owners and representatives to get involved in adding and improving their records with everything from contact details to prices and opening hours, completely free of charge. • It’s free – Unlike many established publishers that charge for inclusion, Bizwiki is free to search, free to edit and free for companies to list on. • It’s editable – The ‘anyone-can-edit’ approach is a challenge to frequently the out of date records of conventional printed Business Directories. • It’s a wiki – The wiki approach allows far more depth of information about each business to be compiled than anything conventionally available. • It’s structured – Bizwiki is built using structured data, allowing reusability of information, bulk updates from chambers of commerce or webspiders, and an easy search experience for users. Bizwiki was built by industry-veterans with years of business directory and meta-search experience behind them, including Keith Hinde, Matt Aird, Craig Sefton and Arthur Jenkins who between them have helped develop directory and search products for Infospace, local directory publisher Thomson Directories, TradePage and Webcrawler. To try the new Bizwiki site, or even add and edit a business record, visit http://www.bizwiki.com. BT Business has announced a major price cut to its web hosting Starter Pack to encourage small businesses to get online. The cost of a 5GB web hosting package with BT Business has been reduced by 40 per cent to an exclusive online price of £2.99* per month, including a host of extra business tools to help small businesses promote themselves with a professional and secure web presence. With enough web space to create hundreds of pages, a professional business domain name and business email for up to 10 accounts, the price cut makes the BT Business Starter Pack one of the most high value web hosting packages specifically designed for small businesses in the UK offering 24/7 support. One in five small businesses don’t have their own web site, despite 25 per cent -£78 billion – of UK retail spend in this year projected to come from online sales. According to BT Business research the vast majority that do are also not getting the most out of their websites or using them effectively to attract customers. The BT Business Starter Pack is available immediately. Additional features include free web site building software with 400 templates to get businesses started on creating their own web site without the need for technical expertise. BT is one of the world’s leading providers of communications solutions and services operating in 170 countries. Its principal activities include the provision of networked IT services globally; local, national and international telecommunications services to our customers for use at home, at work and on the move; broadband and internet products and services and converged fixed/mobile products and services. BT consists principally of four lines of business: BT Global Services, Openreach, BT Retail and BT Wholesale. In the year ended 31 March 2009, BT Group’s revenue was £21,390 million. Auction, Buy, Sell, Trade and even Twitter your items or post wanted ads all for FREE! The Auction web site Multi-Sale.com announces their new u p d a t e d software to let you Auction, Buy, Sell, Trade and even Twitter your items or post wanted ads all for FREE that’s right NO listing fees for auctions, wanted ads, and you can even set up free stores. They Only Charge 1% of the final value fees for server costs and upkeep You can finally sell your item and keep all of the profit, instead of paying 10%, 20%, or even 30% of your hard earned money in fees at other auction websites. At Multi-Sale.com you can import your feedback f r o m other auction venues (wow get rid of high listing fees and keep your established reputation. You can list an item for free and even upload 12 images at no cost. The only time you would encounter fees are if you wish to use specialty upgrade options such as make your auction a “featured auction” or you wish to make your listing title bold or highlighted or maybe upload a video/media of the item. A general auction listing in one category, with up to 12 uploaded images, and more is totally free.Twitter members your new listings use our integrated twitter api and tweets appear right on your Twitter profile immediately and at http://www.twitter.com/MultiSale that’s twice the tweet power. Multi-Sale.com will allows users to create a store with up to 1,000 or more items for free. You can upload images, take offers, receive money, and more! If you are looking to buy a certain item you can post a “Wanted Ad” for free at Multi-Sale.com. In appreciation of its members and future members, the next 1,000 users that signup for Multi-Sale.com will receive a $40.00 credit to apply towards special auction features such as, Featured Item, Bold Title, Highlighted Title, Video/Media uploads and more! Multi-Sale.com is a division of www.unitedimpactmedia.com and a Featured Business on www.ft-myersbeach.com www.tampabayarea.info www.ashevillearea.info city guide web sites. BT Tradespace, the business social networking website, has revealed that Sir Alan Sugar has been voted the most inspiring business figure in the country, according to a recent poll conducted with BT Tradespace users. The 62-year-old founder of Amstrad and star of The Apprentice scored 34 per cent in the vote, well clear of Naked Chef Jamie Oliver, who came in second with 25 per cent. Ivan Croxford, general manager of BT Tradespace, said: “People admire how Sir Alan rose from a humble background and relate to the no-nonsense style he shows during his TV appearances. “He speaks in a language the public can understand and is very focused on what the consumer wants. Users of the 350,000-member BT Tradespace site also voted Victoria Beckham into joint third with lastminute.com founder Martha Lane Fox (both 11 per cent), pipping Marks and Spencer executive chairman Sir Stuart Rose. The result is further evidence of how the former Posh Spice has transformed herself from a pop singer into a global entrepreneur with fashion, cosmetic and women’s accessory lines. Ivan Croxford, general manager of BT Tradespace, said: “Victoria Beckham has proved to be a very shrewd businesswoman with a keen sense of what consumers want. Croxford added: “The survey choices show how the celebrity and business worlds sometimes overlap. “Leading business figures are becoming household names and showbiz personalities are increasingly pursuing business ventures to exploit their star status and enhance their income. Other stars featured in the poll include Kate Moss, Myleene Klass and Gary Barlow, each of whom received 3 per cent of the vote. BT Tradespace.com is a 350,000-member social networking for businesses online community which enables businesses to set-up their own free website to sell products and services and connect with other people effectively – both building business and customer relationships. BT has announced that millions of homes and businesses are set to enjoy a free broadband boost as BT will more than double the headline speeds for its residential and business customers. Given BT is the UK’s largest retailer of broadband with 4.8 million customers, the move, which comes in advance of Lord Carter’s Digital Britain Report, will lead to an increase in average broadband speeds. Over 60,000 consumers already have the faster speeds through a BT trial and the upgrade to ADSL 2+ technology will be available to other homes in the summer. BT Retail broadband customers already enjoy speeds of up to 8Mb/s. The plans will see consumers and business in enabled areas receive faster speeds of up to 20Mb/s as part of their broadband service at no extra cost. Based on BT’s 21CN platform, the faster speeds will initially be available from 549 telephone exchanges, serving more than 40% of UK homes and businesses. BT plans to extend that coverage to 55% by March 2010 subject to customer demand. As well as boosting download speeds, upload speeds will increase to up to 1Mb/s. The faster service will enable customers to surf, upload or download data in a fraction of the time, even when several users are on the same connection. This means less waiting around for complex web pages to download and graphics to upload. It is also good news for BT Business Broadband customers looking to use rich media or boost their websites. BT research has shown that one of the major causes of slower broadband speeds lies in customers’ home wiring. To address this, BT is also set to offer the BT Broadband Accelerator (BT I-Plate) that eliminates electrical interference from telephone-extension wiring, and can improve broadband speeds and reliability. BT will be giving away the devices free to consumers (subject to £2.50 P&P) and businesses that are likely to benefit. Crucially, this will mean more customers with marginal broadband speeds will exceed the 2Mb/s threshold required to benefit from the full range of new internet services, something Lord Carter’s report is set to address. In a separate move, BT Retail will begin the first trials of up to 40Mb/s super-fast fibre-based broadband in Whitchurch, South Wales and Muswell Hill, London this summer. Openreach is already delivering speeds of up to 100Mb/s to customers in the Ebbsfleet Valley in Kent, using fibre-to-the-premise (FTTP) technology. New or re-contracting BT Business Broadband and BT Total Broadband customers in an enabled exchange area will automatically be eligible for the ADSL2+ service at no additional cost. The new ADSL2+ service will be available to business users from the initial launch, and non-business customers from early summer. The BT Business Total Broadband tariff remains the same and includes BT Openzone Wi-Fi minutes.